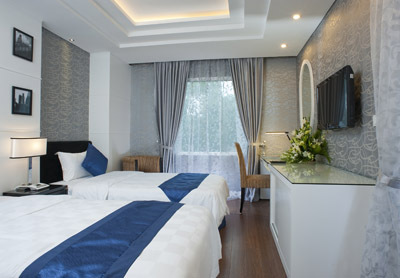 Church Boutique Hotel – Hang Gai offers a comfortable number of 35 guestrooms comprising 12 Classic Rooms, 11 Premium Rooms, 7 Deluxe Rooms and 5 Suites. 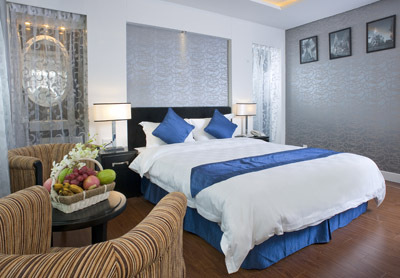 Most rooms offer a choice of a king or queen size bed or 2 single beds. All units overlook either the city or the main street and feature flat screen TV with international satellite TV channels, free wireless and cable internet access, mini-bar, complimentary tea and coffee making facilities, in-room safe, hairdryer, and individually controlled air conditioning. 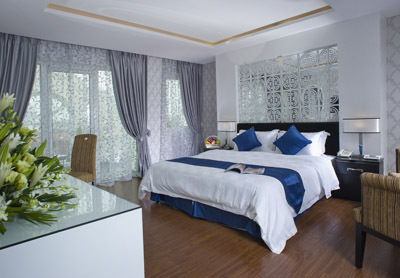 Classic Rooms and Premium Rooms offer a choice of a queen size beds or 2 single beds. 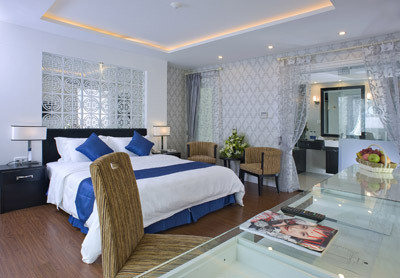 Each of these comfortably appointed rooms feature bathroom with rainfall shower, flat screen TV with international TV channels, free cable and wireless internet access, minibar, complimentary tea and coffee making facilities, in-room safe, hairdryer, and individually controlled air-conditioning. 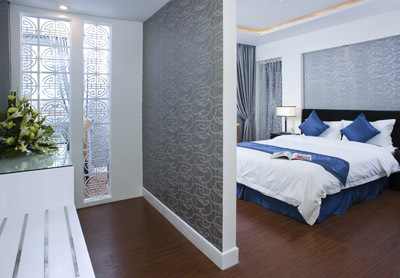 Deluxe Room offer only king size beds. Each of these comfortably appointed rooms feature bathroom with rainfall shower, flat screen TV with international TV channels, free cable and wireless internet access, mini-bar, complimentary tea and coffee making facilities, in-room safe, hairdryer, and individually controlled air-conditioning. 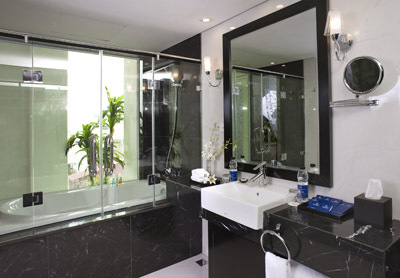 Suite Rooms with king size bed boast of spacious living rooms and bathroom equipped with bathtub. The appointed suite is tastefully designed. Other in-room facilities include flat screen TV with international TV channels, DVD player, free cable and wireless internet access, mini-bar, complimentary tea and coffee making facilities, in-room safe, hairdryer, and individually controlled air-conditioning.